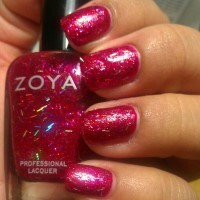 Kissy by Zoya can be best described as a red bar glitter shade combined with red, pink, purple and hologram particles. 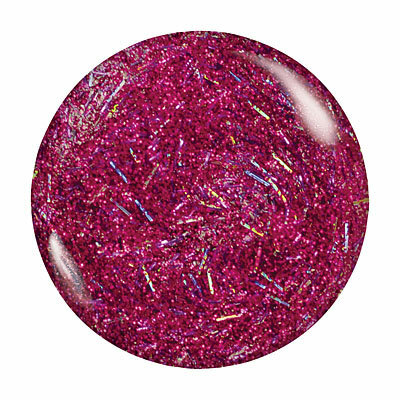 A glitzy shade that can be worn alone or layered to add sparkle to your manicure. This is the first glitter polish I`ve used. I wear it on my toes! LOVE IT!!! 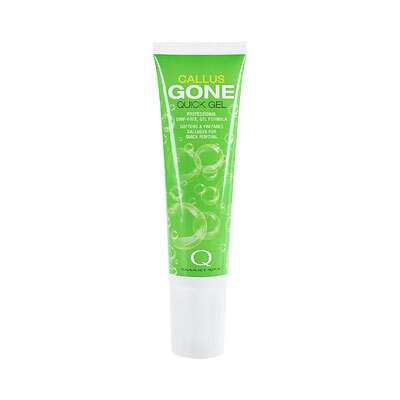 I apply it over a hot pink polish and it looks great! Also goes on easier over polish (just hard to remove).. LOVE ZOYA!!! 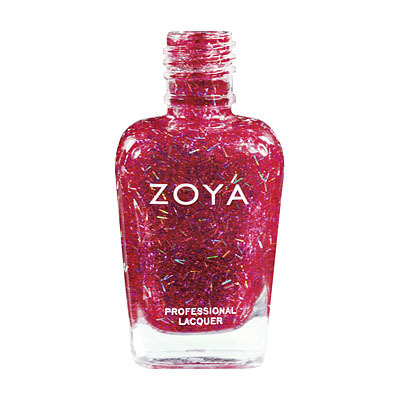 Zoya Nail Polish | KissySo fun and sparkly! I love it! I applied 3 coats and it looked just like the bottle. I thought the bar glitter was colored like pictured. It`s actually all silver foil that gets color from the light`s reflection. But I still love it!Drys super fast. Oh and as long as you polish without bringing the bar glitter to the edge of your nail (super easily manageable) your nail should not feel edgy like I read in other comments. 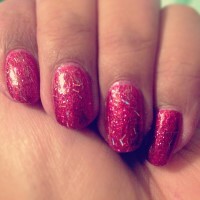 It`s such a fun color, pretty red with a pretty glittery twist! I love the color but the bar glitter made it very hard to apply. I had "fuzzy tips" of my nails. Tried to file off the edges of the bar glitter but that just caused it to chip. This glitter polish is best over Izzy. It takes a midtone pink foil and gives it depth and a deeper color. The 2 polishes were meant for each other! I bought Kissy for my teenage daughter but couldn`t resist trying it. The dry finish did cry out for topcoat--maybe more than one coat-- and then it is super pretty on fingers. But its real wow potential is for toes. There I think its stand out visual impact makes it uniquely special. Kissy looks amazing in the bottle but horrible on! It looks flat and rough and nothing shiny or sparkly about it. I tried it by itself in 3 coats and over another polish. You can see the glitter bars but the polish is dull dull dull. No matter how many shiny top coats I`ve added it doesn`t help. 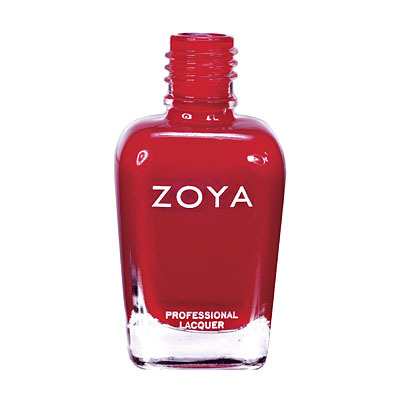 Sorry zoya this one is a total disappointment. Zoya Nail Polish | Kissy festive! Tried Kissy all kinds of ways, by herself, over a light background...the way she looks best is over a deep semitransparent background like Valerie which makes the deep magenta glitter stand out, and the hologram bar glitter pop! I was disappointed in this particular polish ("Kissy"). The finish after it`s dry is very flat which doesn`t look nice with a glittery base. Almost like you smudged your polish while it was drying. The color "Nova" has a much nicer finish. It has the glitter in the polish with a shiny finish. Very sheer, love the sparkly bars, but you won`t get too many days of wear out of it. 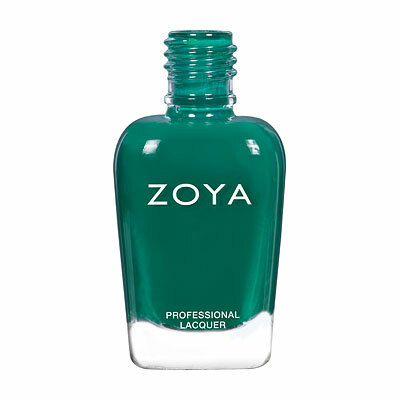 I always use Zoya top coat, base coat, and Remove and usually I can get at least 5 days without a chip, just minor tip wear. I`ve had Kissy on 2 days and already have some chips. It`s to be expected, though, considering the large glittery particles. Overall, very festive polish. I still love the way it looks on my nails, short-lived as it may be!